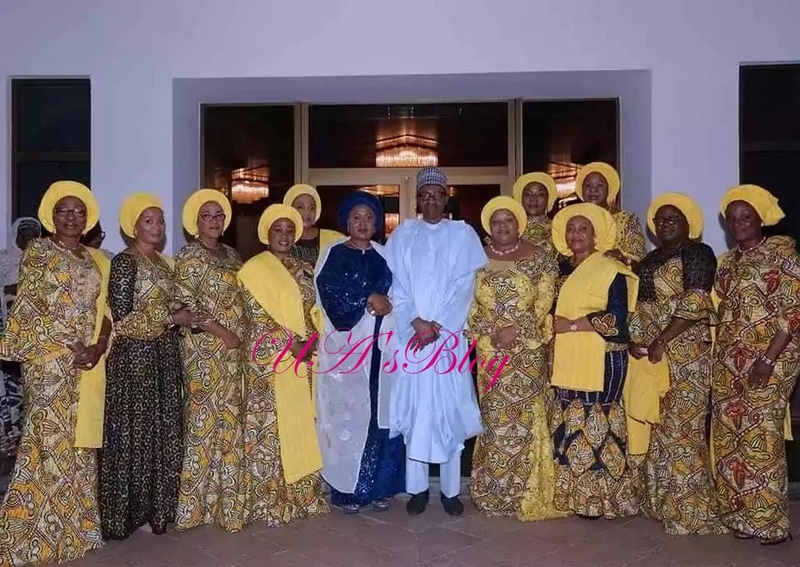 President Muhammadu Buhari on Saturday, May 26, received wives of the governor of 36 states in Nigeria. The governor's wives were led to the president by the First Lady, Aisha. 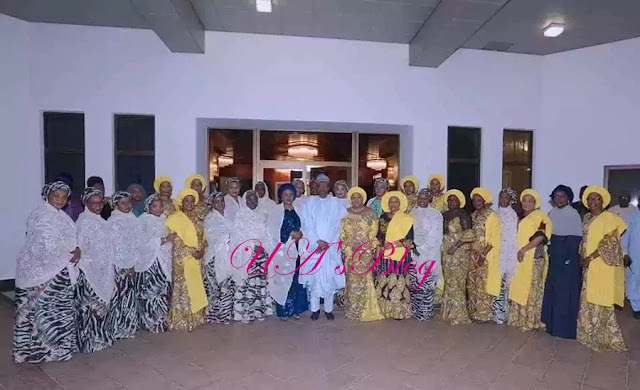 The wives of the governors under the auspices of the Northern Governors' Wives Forum and the Southern Governors' Wives Forum. The group were said to have updated the president on their activities in their various regions. They also sought President Buhari's fatherly advise on achieving their mission and vision in Nigeria. 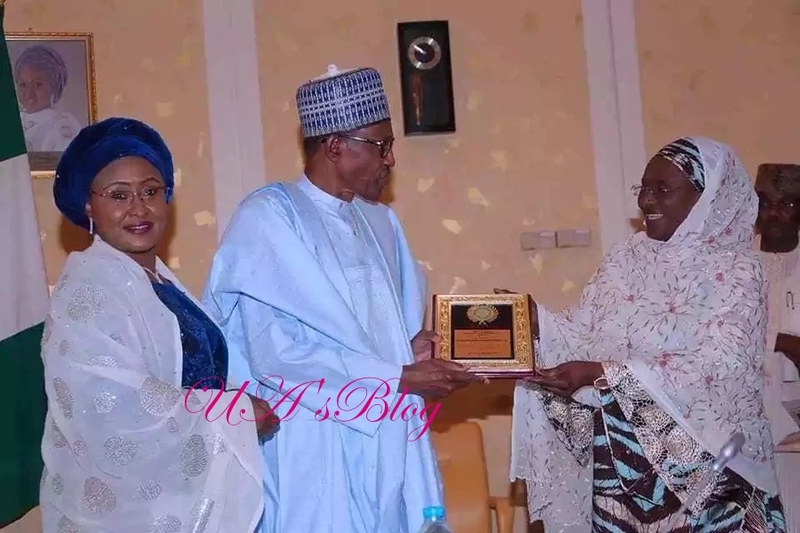 Meanwhile, We previously reported that President Buhari had received delegation of the Conference of Nigerian Female Parliamentarians. 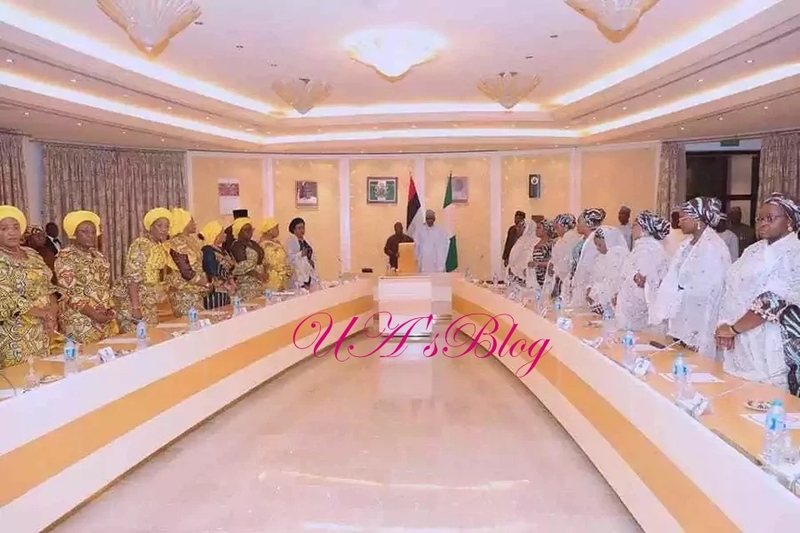 The delegates urged the president to heed to their demand for a female vice president. In his reaction, the president said the job of the vice president, Yemi Osinbajo, was being threatened.